The period from 1200 BC onwards saw vast changes in every aspect of life on both the Greek mainland and islands as monarchies disappeared and were replaced by aristocratic rule and a new form of community developed: the city-state. Alongside these changes a new style of warfare developed which was to be the determining factor in land warfare in Greece until the defeat of the Greek city-state by the might of Macedonia at Chaeronea in 338 BC. This mode of warfare was based on a group of heavily armed infantrymen organized in a phalanx formation – the classic hoplite formation – and remained the system throughout the classical Greek period. 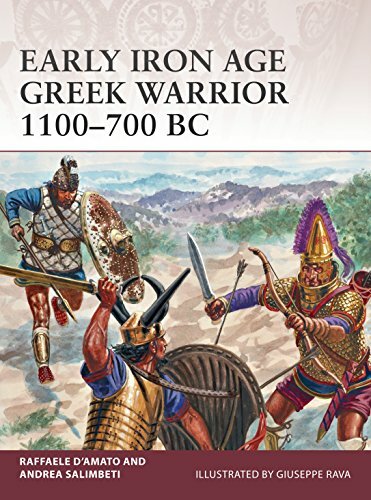 This new title details this pivotal period that saw the transition from the Bronze Age warriors of Homer to the origins of the men who fought the Persian and Peloponnesian Wars.